During World War II, the United States Army Air Forces (USAAF) established numerous airfields in California for training pilots and aircrews of USAAF fighters and bombers. Most of these airfields were under the command of Fourth Air Force or the Army Air Forces Training Command (AAFTC). However, Air Technical Service Command (ATSC), Air Transport Command (ATC) and I Troop Carrier Command used a significant number of airfields in a support role. A significant number of them had operational squadrons for air defense of the Pacific coastline and anti-submarine patrols, and one was even handed over to Civil Air Patrol pilots for their use. In addition to the major fields, dozens of minor auxiliary fields and airstrips were built, generally to provide more room for basic flight training, but also to support other operations. A few of these were designed as "fallback fields" for launching defensive operations in case of a Japanese invasion. Most Army airfields were built with three runways in a triangle, with parking ramp areas adjacent to one runway.This triangular configuration allowed rapid construction, without regard to the direction of the prevailing winds. Navy fields were generally built with two runways in a cross, with a third runway intersecting the other two at an angle. There were, of course, other designs, including single-runway fields. Most noteworthy were "landing mats," large concrete squares, hexagons and circles, which allowed takeoffs and landings in any direction. Following the war, many bases and auxiliary fields were given to local governments or returned to service as municipal airports. Often, budget constraints caused the new owners to close or even remove the "extra" runways, retaining only those that faced into the prevailing winds. In at least one case (Orland), large portions of a landing mat were removed, leaving a conventional runway and ramp. Several fields were retained as United States Air Force installations and were front-line bases during the Cold War, or used for experimental aviation, the most notable of these being Edwards Air Force Base. A few were sold or given back to private owners, generally to be returned to agricultural use, while a handful have become private airports. A number of fields were simply abandoned, due to their remote locations, and the remains of these can still be found, especially in the Mojave Desert. The mission of Fourth Air Force was the air defense of the West Coast, operating two air defense wings in California (Los Angeles and San Francisco). It also provided operational training of newly formed groups and squadrons in combat aircraft prior to their deployment to overseas combat theaters. After April 1944, operational training was changed to replacement training of newly commissioned pilots in combat fighters from the AAF Training Command advanced flying schools. Marysville Army Airfield, 3 miles (4.8 km) south of Marysville. Training Command airfields in California provided Primary, Basic and Advanced (both single and multi-engine) pilot training under the Army Air Force Flying Training Command. Mather AAF provided Navigator Training. Training Command also provided technical aircraft support training to both enlisted and officer personnel at aircraft delivery fields, operated by manufacturers such as North American, Douglas, Northrup, Lockheed and Consolidated Aircraft. Santa Ana AAB provided basic indoctrination training to new enlisted personnel and also pilot qualification screening for prospective air cadets. Private flying schools operated under contract by Flying Training Command, providing primary pilot training to new air cadets. Although training was provided by civilian contractors and instruction was provided by civilian instructors, the schools were commanded by military personnel and were operated as a military base. These schools operated from early 1942 until being phased out in mid-1944. Graduates then advanced to regular Training Command flight schools for Basic and Advanced training. Operated by: Rankin Aeronauticial Academy, Inc.
Airfields were used for transport of personnel, supplies and equipment. Also for ferrying replacement aircraft to overseas units (Primarily Pacific Theater and Alaska). 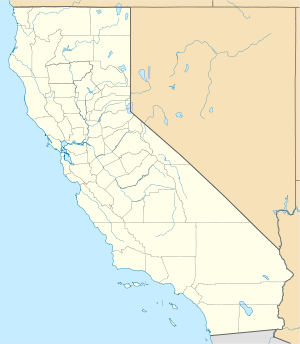 Fairfield-Suisun Army Airfield, 5 miles (8.0 km) southeast of Fairfield. Reno Army Air Base Auxiliary Flight Strip, 64 miles (103 km) north of Truckee. Palm Springs Army Airfield, 3 miles (4.8 km) east of Palm Springs. Provided aircraft modification prior to overseas deployment and also depot-level repair and maintenance services. Technical Service Command also operated acceptance centers for newly manufactured aircraft in Southern California, then ATC Ferrying Command transferred the new aircraft to various airfields or modification centers prior to deployment to operational units. Lindbergh Field (San Diego Municipal Airport), 3 miles (4.8 km) northof San Diego. Lockheed Air Terminal, 3 miles (4.8 km) west-northwest of Burbank. Mines Field (Los Angeles Municipal Airport), 12 miles (19 km) southwest of Los Angeles. Santa Monica Municipal Airport, Santa Monica, 2 miles (3.2 km) east of Santa Monica. Maurer, Maurer (1983). Air Force Combat Units Of World War II. Maxwell AFB, Alabama: Office of Air Force History. ISBN 0892010924.